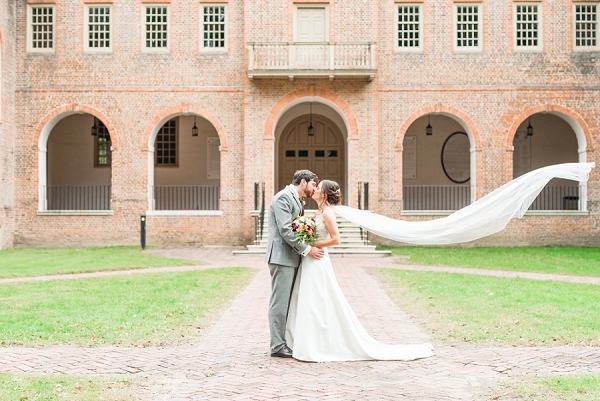 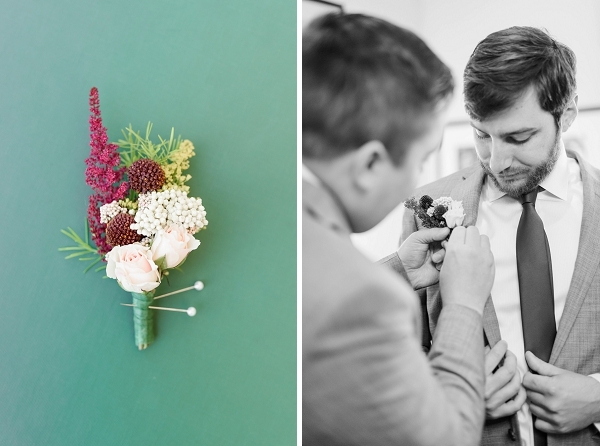 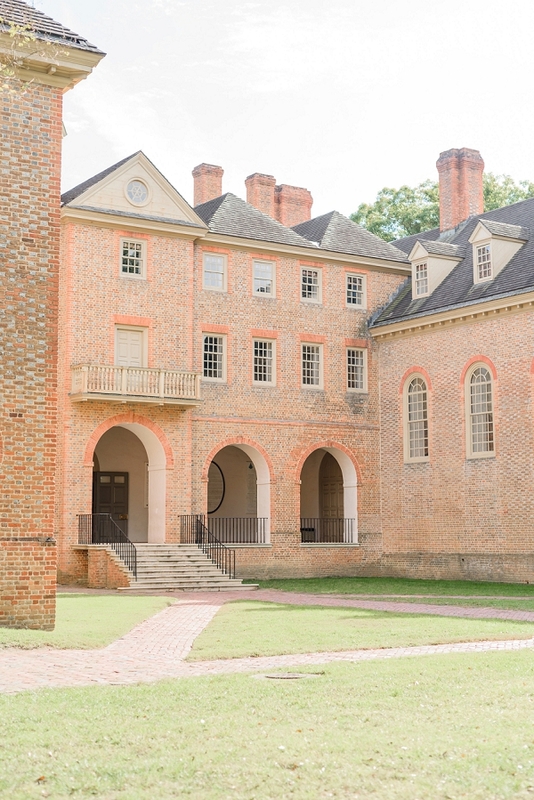 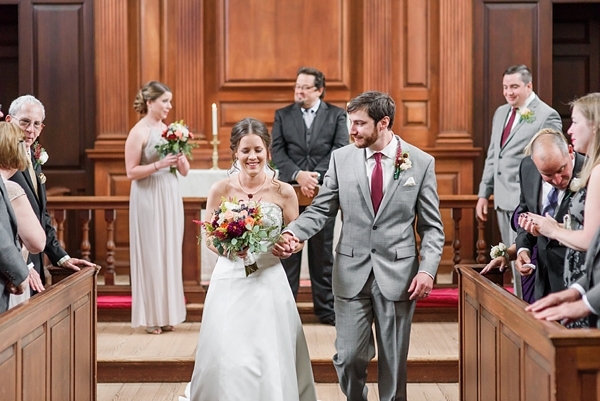 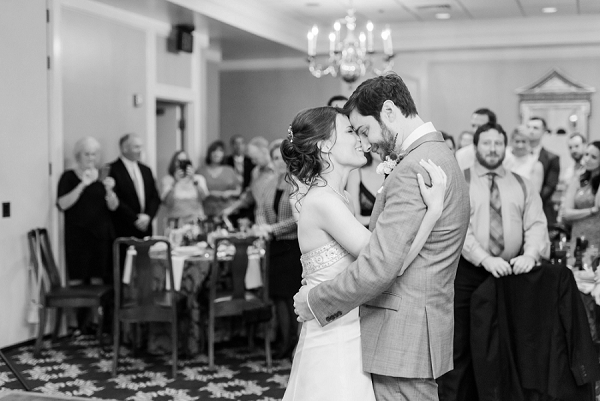 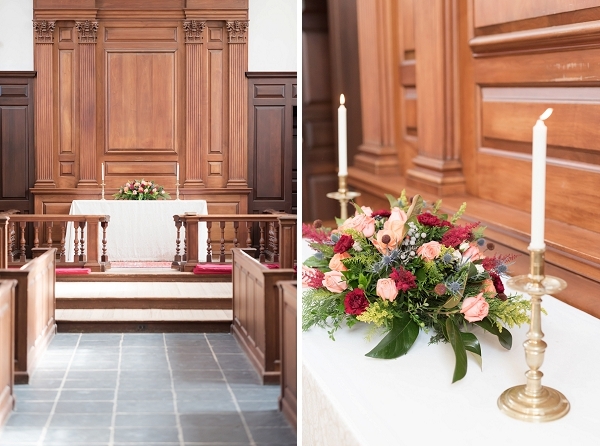 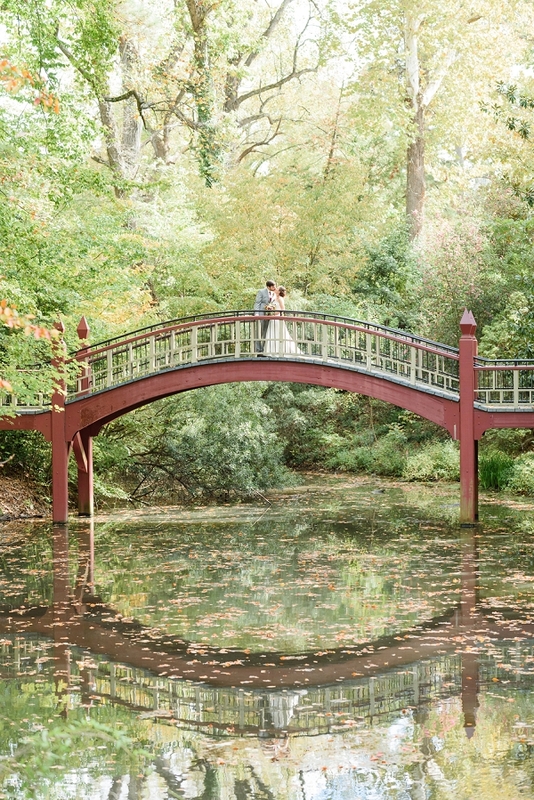 As an alumna of William and Mary, Melissa knew the minute Tony proposed that Wren Chapel and the Alumni House would be the perfect locations to say "I Do" and celebrate. 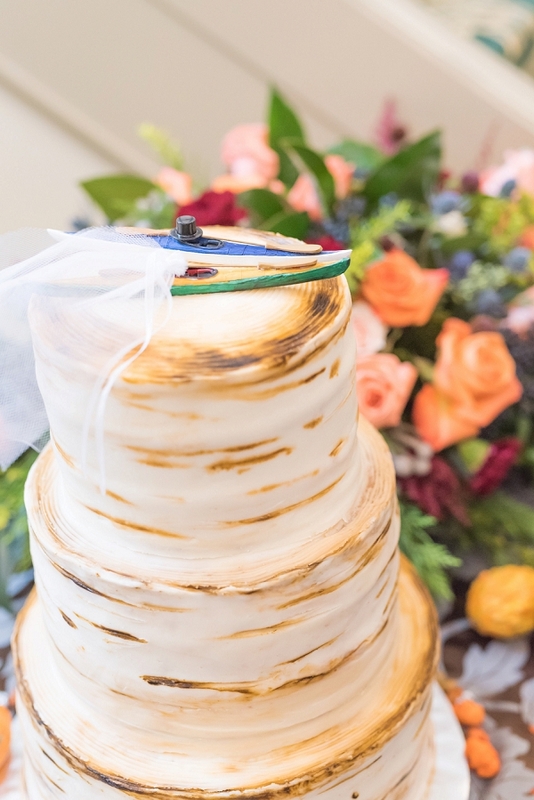 Since they're adventurous spirits (they even got engaged while on a hike together! 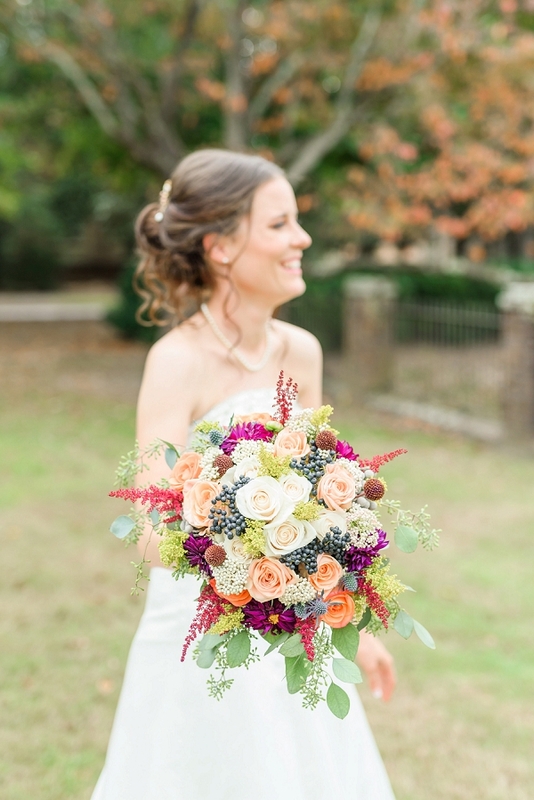 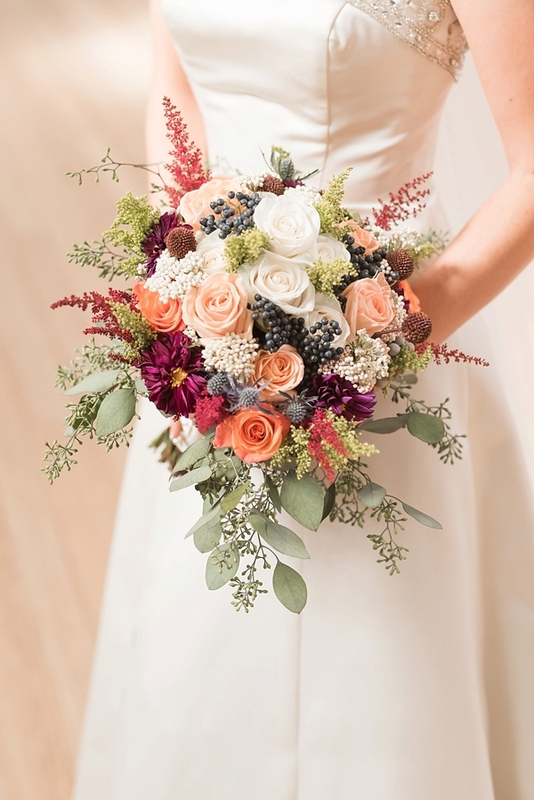 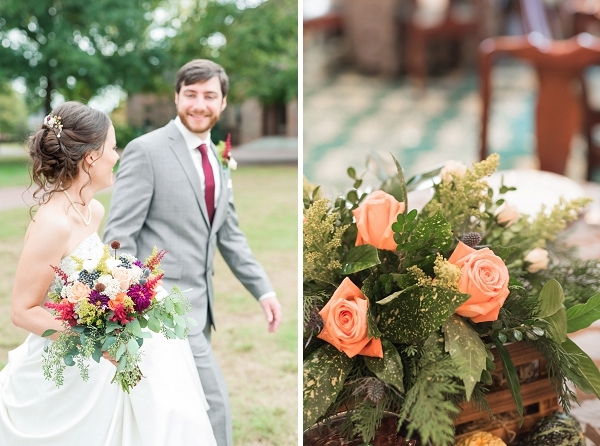 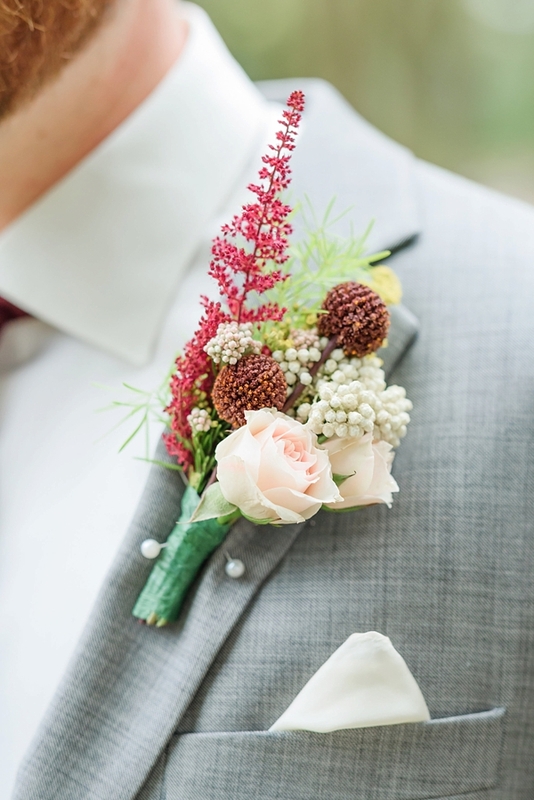 ), the theme of outdoors subtly wove through their colorful fall Williamsburg wedding captured by Ryann Winn Photography. 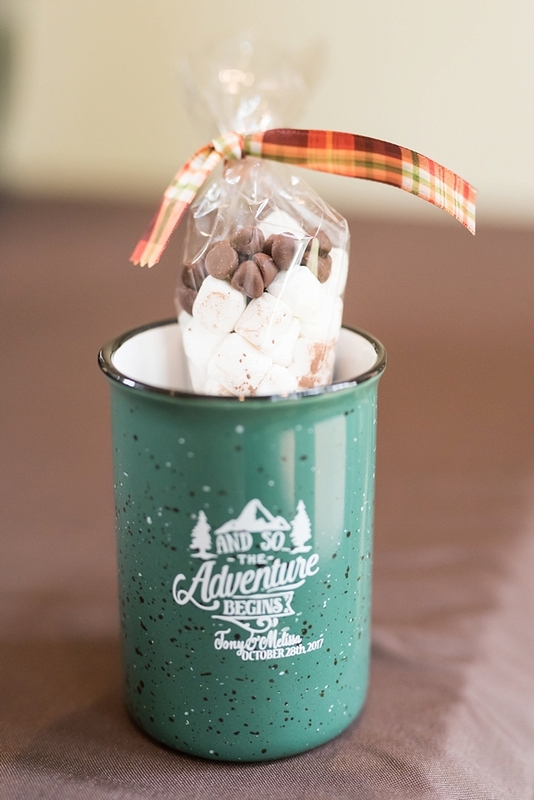 With wedding favors like adorable forest green enamel camping mugs filled with hot cocoa packets, vibrant florals with pops of coral, burgundy red, blackberry, and blush pink, and a rustic tree-inspired wedding cake with two kayaks as a cake topper, exploration and adventure set the tone for this sweet wedding on its biggest journey yet. 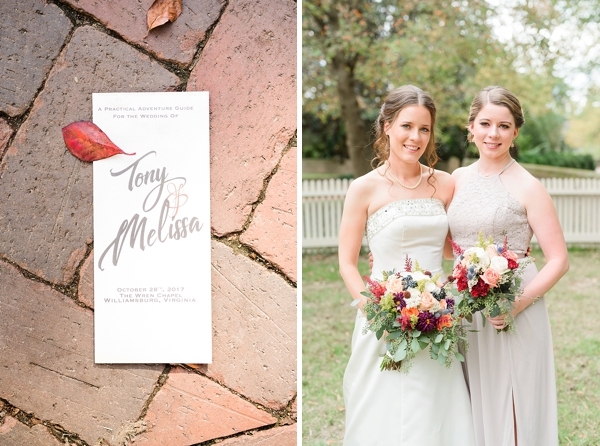 Surrounded by their closest loved ones, Melissa and Tony honored each other in simple cozy and chic style.